Australia’s geothermal hot rocks: cooking with gas? 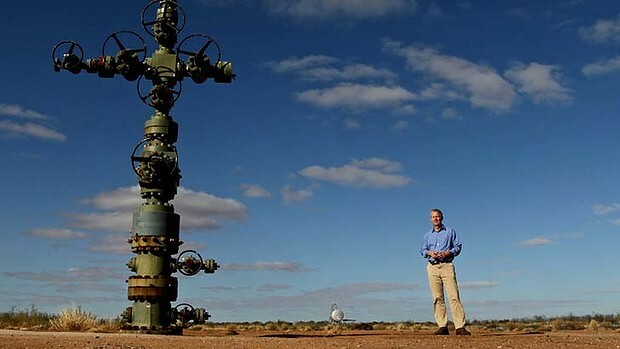 This week we have learned that Petratherm, one of Australia’s most prominent and longstanding players in the exploration and development of hot dry rocks (HDR) geothermal power will now become a developer of gas i.e. another fossil fuel vendor. A geothermal well-head. Petratherm has downscaled planned developments significantly, and is now moving into gas. An ISL uranium well head at Beverley Mine, South Australia. Looks much the same as the geothermal, but it’s shallower, easier and produces so much energy for export the operators must report under the National Greenhouse and Energy Reporting Act. It’s time to face facts. We have tricked ourselves into having expectations of technologies like wind, solar and geothermal that far exceed their capacity to deliver. We can’t go on ignoring the fact that there is gross mismatch of timing between the current urgency of the climate crisis and the likely future ability of these technologies to deliver on our energy needs, cost effectively and at scale. That’s nobody’s fault. It’s not a conspiracy. It’s not lack of funding, research or support. It’s the challenge of taking energy that is dispersed, dilute, intermittent and location-specific and then capturing, storing, moving and dispatching it to where we need it, when we need it. It’s bloody hard, and so far we are not that good at it. This is not a minor issue. In 2013 AEMOs draft findings for their 100% renewables study geothermal is assumed to play a major, not minor role in delivering the stable and reliable baseload supply of 2030 (17 years away) and 2050. But cautionary words are commonly met with responses that suggest I and others are just haters when it comes to renewables, who simply want for vision. Let’s hope that more attention is paid both to the decision of Petratherm, and the rhetoric that accompanies it. 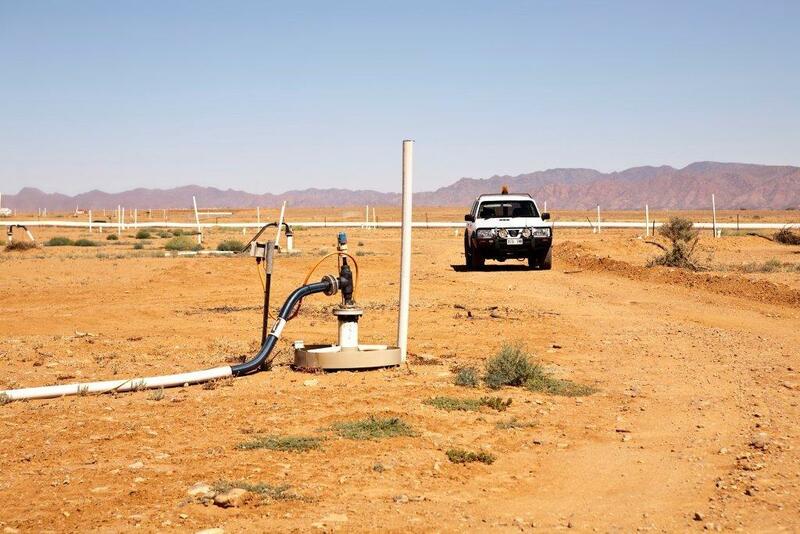 Mr Kallis said gas could offer the consistency of supply that his company’s other projects could not, and would complement the company’s attempts to commercialise multiple forms of renewable energy. In other words, there comes a point where private organisations need to make money, and they will happily turn to fossil fuels to do so. That point normally arrives when the public tap gets turned off. In other words, intermittency is a challenge, baseload is not a myth, and geothermal is not ready to play the baseload role. Did everyone take that in? Fossil fuels are now enablers of renewables. This is coming from a Managing Director who is now investing in fossil fuels, not renewables. On that basis I think we can fairly infer that renewables can be enablers of fossil fuels every bit as much, and that any old green argument to satisfy investors will do. As I emphatically argue in this video, at this time these vast renewables visions are gas visions. We may all just live in denial of that for a little longer, pretending that geothermal or biomass are going to miraculously overcome their major shortcomings. We can hope, but there is something else I have said before: hope is not a plan. Next Entry How can community support for the nuclear option be achieved? I am genuinely curious – do you see a future for renewable energy at all, or is your point more that their efficacy has been simply overestimated? If you review, for example, the AEMO draft findings on the concept of 100% renewables, there is no escaping the big, solid, straight horizontal lines of supply to the grid that they have assumed will be delivered by biomass and geothermal. Neither is ready to do the job, both have major and potentially intractable limitations, and both would be comprehensively outperformed in this role by nuclear power. In that same modelling, a large amount of supply is assumed to be provided by intermittent renewables (wind and solar) that would be more efficiently provided by nuclear power too. This is pretty evident in the report when you look at the charts illustrating the supply. Here, the renewables could do it but it’s arguably pretty inefficient and needs a lot of overbuild. By contrast it is probably highly inefficient to build nuclear capacity to service all the peaks of Australian supply, and with improving knowledge and understanding of wind and solar, plus some storage, I am perfectly prepared to assume that decarbonising this section of supply is better delivered by those technologies plus some storage and a very small amount of gas. Even that outcome, Australia wide, still means huge growth for renewables from their current position. Expecting them to do the lot is sheer folly. Great, thanks for the reply. I work at a renewable energy company, and I’m always thinking about how renewable tech might integrate into the grid. Sadly, a lot of people seem under the impression that installing one wind turbine implies some sinister intent to maniacally destroy all other fuel types and replace the countryside with wind farms. Obviously anyone with an understanding of the NEM knows that that’s unfeasible. Though wind doesn’t provide capacity, I sometimes feel it gets undersold as contributing large quantities of energy to the grid (SA being the prime example), so I try to think about it in terms of that. A more general musing: I’ve sensed an undercurrent of techno-dogmatism in a few different fora online, and sometimes at conferences and in person. I suspect it would be fairly helpful for advocates of nuclear, renewable and even fossil fuels to cast away some of the tribalism that seeps into these discussions. I truly could not agree more. Ever the pragmatist, it is indeed true that the necessary delay before getting power from nuclear does provide a further window for decarbonisation to proceed with the use of wind and solar, and we should do this. SA does provide a very good example. “My goal is to look at every option available to us, new and realistic future technology, and intelligently use each form of energy where it makes the most sense and where it can maximize its strengths and minimize its weaknesses (examples…burning natural gas in stationary turbines is a poor use of NG’s strengths). I think every form of energy is a gift and all of us can play nicely and contribute. If we can get a group of people together wanting to solve the problem rather than push their own agenda, I think we could do something more constructive than many before us.” Pretty exciting stuff! Plenty of us, myself included, put outcome above technology. You could say I chose to primarily advocate nuclear because that it what I saw as in most desperate need of re-balancing. The ISL operations and the geothermals essentially work off the same giant blob of Precambrian granite, the ISLs off the alluvial outwash and the geos drill into hard rock (see hills in background) to find enough temperature from radioactive decay. I see Petratherm want to drill and presumably frack the Tasmanian midlands. Best of British. There was another mob called KUTh Energy exploring geothermal in that area. Some helium found in natural gas may be a decay product of unstable isotopes. Tasmania needs gas replenishment just like all of eastern Australia (i.e. not WA or NT) since the Bass Basin is now mature. A possible synergy between wind and nuclear might be if the 600 MW King Island wind farm went ahead and they build a higher capacity underwater HVDC cable to Victoria. The current Basslink is limited to 500 MW and doesn’t like flow reversals. Use a small load following nuke in Tasmania (say on the west coast) to firm the wind output from King Island. Might as well put the reactor on King Island as well, regardless of whether the wind power goes ahead or not. Not that there is a shortage of suitable sites in Tasmania. I still have faint hope that Geodynamics will come through sometime in the next decade. Geodynamics is producing power as of this month. Yes, they have overcome substantial engineering challenges to reach this point. The beauty of geothermal is that as those challenges are overcome, there is as abundant competitive baseload option at the end, unlike solar and wind. – is it truly renewable? – is the EROEI >8 as required for major energy sources? – will it help industry and population centres ? – how come radioactive decay is good but fission is bad? No need to be prissy about it. What they have achieved is a pretty impressive engineering feat. The fact they are driving a 1MW pilot plant is just indicative of where things are at, and will open doors to get commercial operation going. Renewable – in the very long term the rocks will heat back up, but really it should be treated as a massive but finite resource. Cubic kilometres of rock take a while to cool down and warm up, and they have a _lot_ of cubic kilometres of hot rock that they can cool down 100C or more. It needs long power lines. Radioactive decay is good. So is fission.